Photo: Chester I. Long House, ca. 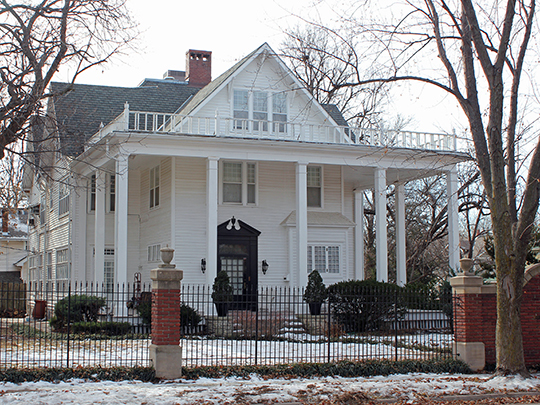 1887, 3401 East Second Street, Wichita, KS. Listed on the National Register of Historic Places in 1978. Photographed by User:Jeffrey Beall (own work), 2013, [cc-by-3.0 (creativecommons.org/licenses/by/3.0)], via Wikimedia Commons, accessed March, 2014. The Sedgwick County Courthouse is located at 525 North Main Street, Wichita KS 67203; phone: 316-660-9300. Created in 1867, the county is named for Civil War Union Major General, John Sedgwick.